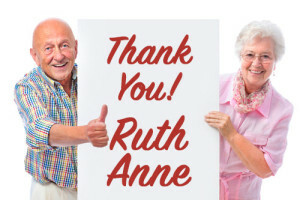 Ruth Anne Hobbs and The SunTree Team brings a whole new level of service and professionalism to represent one of your most valuable possessions and assets. In fact, some of the people we serve have only the equity in their property to see them through their retirement years. With this in mind, we thank you for placing your trust in our team to assist you through the listing, marketing, and sales processes. Our first goal with you is to have excellent communication explaining each procedure throughout the process. We will also recommend setting a list price representing top market value, without going so high that it does not sell. This can only be accomplished with a thorough understanding of the market. To assist you, we’ll go over a detailed market analysis including calculating market and price trends for the Phoenix valley. It is painstakingly prepared to ensure that you feel comfortable and confident as we reach this important first goal. We welcome the opportunity to serve you, and ask that you contact us with any questions you may have now, or during your marketing and selling process. Results = Service & More $$$ for You! Ruth Anne Hobbs does professional consultations to enhance your selling and marketing experience. Placing a sign for sale and implementing an effective marketing strategy are only the first steps. In addition, she’ll do an initial walk through looking through the eyes of the buyer. This process will include your curb appeal, staging your home, the first impression, the spacious look, the atmosphere when showing, cleanliness, and general maintenance of your property such as taking care of possible repairs or improvements. Show your home to prospective buyers through our recommended marketing techniques. The highly respected SunTree Team (the sign with the sun) advertises your property 24 hours a day. We will use our advanced computer system and programs that identify/track our buyers who have been looking for homes in your neighborhood. They will be contacted and given the details of your property. Each property will have an individual marketing plan subject to current market conditions. We will advertise your home in appropriate publications and communicate our results to you. Every step in the sales and closing process will be documented. The Owner’s Progress Report will keep you up to date every step of the way. Buyer’s must be pre-approved for a mortgage when making an offer for your property. This assists you, the owner, to make better decisions when accepting or making a counter offer to a buyer’s offer. Our team’s knowledge and work skills are exceptional when it comes to real estate especially when negotiating the sale for you. COMMUNICATION and SERVICE FOR YOU are the keys to a successful sale. Read comments from our clients.